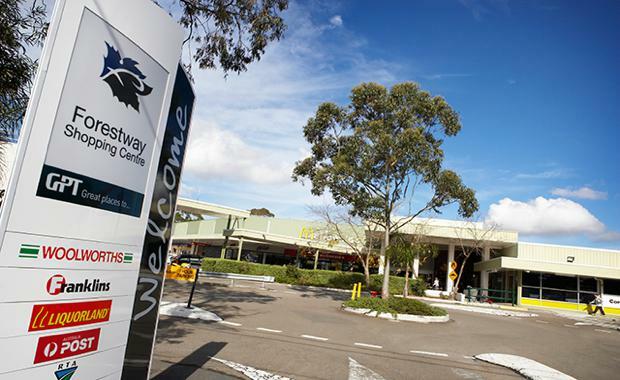 The GPT Wholesale Shopping Centre Fund (GWSCF) has sold Forestway Shopping Centre to Invesco Asset Management for $112 million. The sale represents an initial yield of 5.97 per cent and is a 20 per cent premium to the asset's 30 June 2015 book value. Fund Manager Michelle Tierney said there had been strong interest in the asset and the sale reflected that demand. "The Fund is very pleased with the result, having capitalised on the recent investor demand for neighbourhood shopping centres," Ms Tierney said. "The proceeds from the sale of this non-core asset will initially be used to pay down debt," Ms Tierney said. The Centre is anchored by strong trading Woolworths and ALDI supermarkets, 38 specialties, 3 kiosks, 3 ATMS, 2 pad sites, and 8 office suites on the mezzanine level. The total trade area is near 185,000 people. Colliers International's Lachlan MacGillivray acted for GPT on the transaction. "The falling Australian dollar, continuing low interest rate environment and strong housing market continue to provide a strong foundation for our retail industry," Mr MacGillivray said. "This improvement in retailing will continue to drive demand for quality retail assets. "Following the sale of Forestway, more than $2.37 billion in retail transactions have been recorded across NSW for the year to date, which represents 40% of total sales volumes for the period, already surpassing 2014's full year levels.